Cooper Barrett's Guide to Surviving Life is a new comedy that follows the charming misadventures of Cooper Barett and his friends as they struggle through messy, terrible and hilarious disasters - a night in jail, crazy ex-girlfriends, going broke - giving us guidance so we can avoid the same mistakes. Jack Cuthmore-Scott (Cooper Barrett) is a relatively new actor. His credits include original TV movies such as The Go-Between and Cabot College. The role of Cooper Barrett will be his first starring role. Meagan Rath (Kelly Bishop) is an actress best known for her role on the sci-fi drama Being Human on Syfy. She has also appeared in guest spots on shows such as Banshee, New Girl and Secrets and Lies. James Earl (Barry) previously starred as Derrick in the TBS sitcom Ground Floor. He has also appeared in sitcoms such as Young & Hungry, Mom, and Austin & Ally. Charlie Saxton (Neal) is known for his role on the short-lived Amazon series Betas. He has also appeared in shows such as Silicon Valley and Workaholics and films such as Movie 43 and The Lovely Bones. Liza Lapira (Leslie Barett) is an actress known for her roles on such as Traffic Light, Don't Trust the B---- in Apartment 23 and Super Fun Night. She has also appeared in shows as a guest such as Psych, Blue Bloods, and Royal Pains. Justin Bartha (Josh Barrett) has appeared in films such as The Hangover trilogy, National Treasure, and Failure to Launch. He also appeared in the short-lived NBC sitcom The New Normal. We have watched four episodes for review. A couple years out of college, Cooper Barrett (Jack Cutmore-Scott) still doesn't have his dream job, he's possibly fallen for his across-the-hall neighbor, Kelly Bishop (Meaghan Rath), and he can't seem to avoid major trouble, along with his roommates, Neal (Charlie Saxton) and Barry (James Earl). Rounding out the gang is Cooper's older brother, Josh (Justin Bartha), who is constantly popping in to hang with the fellas and get some peace from his wife, Leslie (Liza Lapira), and their kids. After sales for their hangover cure are slower than expected, the guys decide to take part in a drug trial for quick cash, but their plans are unexpectedly derailed by Paula Abdul (guest-starring as herself). Meanwhile, Kelly faces an awkward situation after spending time with Leslie and Josh in the all-new "How to Survive Insufficient Funds." When Kelly gets invited to her ex-boyfriend's wedding in Mexico, she doesn't want to show up alone - so she decides to bring Cooper as her plus one. But when getting to the wedding becomes a south-of-the-border logistical nightmare, Cooper enlists Neal, Barry, Josh and Leslie to come to their rescue. Cooper faces the ultimate devastation of losing his phone, and the guys will stop at nothing to get it back. Meanwhile, Kelly and Leslie's karaoke duet quickly turns violent. Cooper Barett's Guide to Surviving Life is not a bad show. It's slick, well-produced, and has a somewhat off-beat format that makes it stand out from your typical network hang-out sitcom. Each episode starts off "in media res," dropping you into the middle of the action and working backwards, ultimately building to some sort of "lesson" that gives each episodes a clear structure. It's a format that, while not necessarily re-inventing the wheel, could be interesting if utilized properly. There is also some talent to be found in the cast – Cuthmore-Scott is a compelling lead who makes a character who could be insufferable (mostly) likeable, and there are also good performances from Meagan Rath and Liza Lapira, who do their best to make their underwritten characters make an impact. But overall, there's really not much about Cooper Barett that we haven't seen done a million times before. If you take off the shiny packaging, this is basically yet another show about a bunch of attractive 20-somethings hanging out and having wacky adventures, a premise that's been overdone since, at least, the height of Friends. To be fair, plenty of shows have used that formula in recent times and managed to succeed – Happy Endings, New Girl, and even niche cable fare like Broad City are all basic spins on that premise. 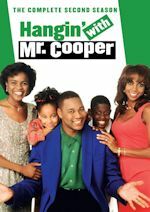 It's clear that Cooper Barrett is desperately trying to emulate those shows, but what made those shows stand out were top-tier writing, original characters, and (in the case of Broad City especially) unique perspectives not necessarily found anywhere else on television. Cooper Barett has none of those, instead mostly feeling like a lesser reprise of a formula that films like The Hangover and shows like Workaholics have already worn dry. 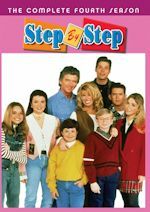 Of course, plenty of sitcoms start off favoring the generic and eventually work towards something more unique and individual, and I'm not ruling out the possibility that Cooper Barett will eventually turn into a worthwhile show if it's given the chance. But as it stands now, this is a show that's not especially funny, recycles trite generic sitcom tropes, and has characters that feel like generic stock types rather than actual human beings. It's far from the worst show you'll see this year, and there's good moments scattered through-out the mediocrity. But with so much great TV out there, there's really very little reason to waste your time with Cooper Barrett. Cooper Barrett has its moments, but they're few and far between what is mostly a generic, recycled mix of things that we've seen done better in the past. With a somewhat unique premise and some strong actors in its ensemble, the possibility that it'll eventually become something more can't be ruled out, but there's very little in these first four episodes to suggest that any improvement is imminent. It's not the worst way to spend a half-hour, but there are an infinite number of shows out in our vast television landscape that'll provide a better use of your time. Discuss the show after you watch it on Sunday, January 3, 2016 at 8:30PM ET/PT on our message board. For the week of Jan. 4-8, 2016, we have many current sitcom stars and past sitcom stars on TV talk shows! All times listed are Eastern. So get your DVRs (or whatever you use) ready! Ready? Here is all what you need to know for the coming week! John Stamos (Grandfathered/Jake in Progress/Full House) - Watch John on The Tonight Show Starring Jimmy Fallon at 11:34pm on NBC. He will also be on ABC's Good Morning America sometime between 7-9am. Sarah Silverman (The Sarah Silverman Program) - Sarah appears on The Late Late Show with James Corden at 12:37am on CBS. David Cross (Arrested Development/Running Wilde) - David visits Comedy Central's The Daily Show with Trevor Noah at 11pm. Martin Short (Mulaney/The Martin Short Show) - Martin stops by Conan at 11pm on TBS. Lauren Ash (Superstore/Super Fun Night) - Lauren appears on Conan at 11pm on TBS. Jane Lynch (Angel from Hell) and Maggie Lawson (Angel from Hell/Two and a Half Men/Back in the Game/It's All Relative) - Jane and Maggie talk about Angel from Hell on The Talk on CBS at 2pm ET/1pm CT-PT. Rickey Smiley (The Rickey Smiley Show) - Rickey is a guest on The Talk on CBS at 2pm ET/1pm CT-PT. Vanessa Lachey (Truth Be Told/Dads) - Vanessa shares her family's plans for celebrating baby girl Brooklyn's first birthday on People Now. Eva Longoria (Telenovela) - Eva talks about Telenovela on NBC's Today sometime between 7-9am and in the 10am hour. America Ferrera (Superstore) - America discusses Superstore on NBC's Today in the 9am hour. Retta (Parks and Recreation) - Retta discusses her recurring role in the upcoming season of Girlfriends’ Guide to Divorce on the AOL Build Show at 2pm and on HuffPost Live at 3pm..
Madison Davenport (Save Me) - Madison talks about Sisters on Home & Family on Hallmark Channel at 10am ET/PT. John Krasinski (The Office) - Catch John on The Late Show with Stephen Colbert at 11:35pm on CBS. He will also be on ABC's Good Morning America sometime between 7-9am. Sarah Hyland (Modern Family) - Sarah appears on The Late Late Show with James Corden at 12:37am on CBS. Jack McBrayer (30 Rock) - Jack visits The Late Late Show with James Corden at 12:37am on CBS. Rami Malek (The War at Home) - Rami stops by The Late Late Show with James Corden at 12:37am on CBS. Matt Besser (The Hotwives) - Matt is a guest on @midnight on Comedy Central at midnight. Tia Mowry (Instant Mom/The Game/Sister, Sister) - Tia talks about her Cooking Channel show Tia Mowry at Home on The Meredith Vieira Show, so check your local listings. Adam Pally (The Mindy Project/Happy Endings) - Adam shares the last song he got stuck in his head and the last vacation he took on People Now. America Ferrera (Superstore) - America can be heard on The Morning Mash Up on SiriusXM Hits 1 at 10:25am. 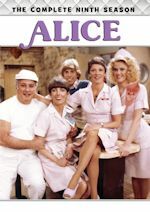 Kirstie Alley (Kirstie/Veronica's Closet/Cheers) - Kirstie is a guest on NBC's Today sometime between 7-9am and in the 10am hour. Will Smith (The Fresh Prince of Bel-Air) - Will appears on NBC's Today in the 9am hour. Valerie Bertinelli (Hot in Cleveland/Café Americain/One Day at a Time) - Valerie is a guest on NBC's Today in the 10am hour. Eva Longoria (Telenovela) - Eva discusses Telenovela on the AOL Build Show at 3pm. Felicity Huffman (Sports Night) - Felicity talks about the new season of American Crime on the AOL Build Show at 4pm. Jadyn Douglas (Telenovela) - Jadyn discusses Telenovela on Home & Family on Hallmark Channel at 10am ET/PT. Melissa Joan Hart (Melissa & Joey/Sabrina, the Teenage Witch/Clarissa Explains It All) - Melissa will be on Fox and Friends on Fox News Channel at 6:52am. Brie Larson (United States of Tara/Raising Dad) - Brie is a guest on ABC's Good Morning America sometime between 7-9am. J.K. Simmons (Growing Up Fisher/Family Tools) - Watch J.K. on The Tonight Show Starring Jimmy Fallon at 11:34pm on NBC. Brie Larson (United States of Tara/Raising Dad) - Brie appears on Jimmy Kimmel Live! at 11:35pm on ABC. Jerry Seinfeld (Seinfeld) - Jerry stops by The Late Show with Stephen Colbert at 11:35pm on CBS. Retta (Parks and Recreation) - Retta is a guest on Late Night with Seth Meyers at 12:36am on NBC. She talks about Girlfriends’ Guide to Divorce on NBC's Today in the 10am hour. Amy Landecker (Transparent) - Amy visits Conan at 11pm on TBS. Dave Foley (Dr. Ken/How to Be a Gentleman/NewsRadio) - Dave is a guest on Watch What Happens: Live at 11pm on Bravo. Felicity Huffman (Sports Night) - Felicity is a guest on ABC's Good Morning America sometime between 7-9am, on LIVE! with Kelly and Michael (check your listings) and on The View on ABC at 11am ET/10am CT-PT. Sherri Shepherd (Less Than Perfect/Sherri) - Sherri talks about Ride Along 2 on The Meredith Vieira Show, so check your local listings. Michael Ian Black (Burning Love/Ed) - Michael discusses his new book Navel Gazing: True Tales of Bodies, Mostly Mine (but also my mom's, which I know sounds weird) on HuffPost Live at 2pm. Valerie Bertinelli (Hot in Cleveland/Café Americain/One Day at a Time) - Valerie joins the Chew Crew on ABC's The Chew at 1pm ET/12pm PT/CT. Candace Cameron Bure (Full House/Fuller House) - Candace reveals how she avoids burnout on The Dr. Oz Show, so check your local listings. Hank Azaria (Bordertown/The Simpsons/Free Agents) - Hank talks about Bordertown on NBC's Today in the 9am hour. David Cross (Arrested Development/Running Wilde) - David talks about his show The Increasingly Poor Decisions of Todd Margaret, returning to IFC on January 7, on the AOL Build Show at 3pm and on HuffPost Live at 4pm. Miriam Shor (Younger/Inside Schwartz) - Miriam discusses Younger on Home & Family on Hallmark Channel at 10am ET/PT. Alyssa Milano (Who's the Boss?/Romanitcally Challenged) - Alyssa is a guest on The Wendy Williams Show at 12am on BET or on your local stations and on HuffPost Live at 1:30pm. America Ferrera (Superstore) - Catch America on The Late Show with Stephen Colbert at 11:35pm on CBS. Queen Latifah (Living Single) - Queen visits The Ellen DeGeneres Show, so check your local listings. 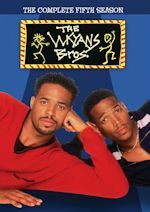 Marlon Wayans (The Wayans Bros.) - Marlon appears on The Ellen DeGeneres Show, so check your local listings. Malin Akerman (Trophy Wife/Sin City Saints) - Malin will be on New York Live on WNBC in New York at 12:30pm ET. She can also be heard on The Morning Mash Up on SiriusXM Hits 1 at 9:20am. Micky Dolenz (The Monkees) - Micky and Peter Noone are guests on New York Live on WNBC in New York at 12:30pm ET. J.K. Simmons (Growing Up Fisher/Family Tools) - J.K. discusses his multiple projects including Kung Fu Panda 3, Zootopia and more on the AOL Build Show at 1pm. Timothy Omundson (Galavant) and Karen David (Galavant) - Timothy and Karen discuss the upcoming season of their hit fairytale-themed musical comedy Galavant on the AOL Build Show at 4pm. Fran Drescher (The Nanny/Happily Divorced) - Fran talks about Hotel Transylvania 2 on Home & Family on Hallmark Channel at 10am ET/PT. Kelly Ripa (Hope & Faith) - Kelly is a guest on People Now. Timothy Omundson (Galavant) and Karen David (Galavant) - Timothy and Karen chat with the ladies of The View on ABC at 11am ET/10am CT-PT. The cast of Galavant will also be on ABC's Good Morning America sometime between 7-9am. Tom Cavanagh (Ed) - Tom is a guest on The Talk on CBS at 2pm ET/1pm CT-PT. Eva Longoria (Telenovela) - Eva talks about Telenovela on The Ellen DeGeneres Show, so check your local listings. Tim Daly (Wings) - Tim will be on CBS This Morning sometime between 7-9am. J.K. Simmons (Growing Up Fisher/Family Tools) - J.K. talks about Kung Fu Panda 3 on NBC's Today in the 9am hour. He is tentatively scheduled to be on The Morning Mash Up on SiriusXM Hits 1 at 11am.